How do i make money online by typing job? 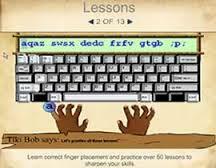 Many times, people ask if the is any typing job that can be done from home using the internet. I've searched the internet for quite a number of times wanting to know if i can actually make money online typing from home where the searched result displays the site that ask for money to start or register. 1. Blogging: One of the best way to earn money on the internet by typing is through blogging. If you blog, you work for yourself especially if you blog for full time. It can be done right there in your house using your computer and the internet. Get a free blog through platforms like blogger or WordPress, add some contents, share on social media and monetize your site traffic using Adsense. You get paid by Google for typing and adding contents to the blog since Google display their ads on your site. 2. Sponsored Post: Through your blog, you can also earn good amount of money accepting paid post from people. Sponsored post is a just a way blog owners generate money by writing for other people or accepting to publish their post on your site, you just type, copy and publish. This is one of the best typing job on the internet. 3. Article Writing: You can earn money typing from home through online article writings. You write for blog owners for cash, you write for article submission sites, you write for Adsense sharing site and other article writing sites will pay you for your articles f accepted. 4. Micro Jobs: One of the easiest way to make money typing from home is through micro jobs like fiverr. Fiverr is a site that allow you to create a gig for $5. Such gigs can be created to write for people at $5. For instance, you can create something like "i will write 700words article for you at $5. After then, promote the gig and if you get order from 5 people a day typing from home then, you get 5 x $5 = $25. You get cheap $25 dollars typing from home. 5. Paid Surveys: One of the earliest typing jobs online but many people are still working with paid surveys. To make money typing from home through online surveys, you don't need to be an expert, just sign up with reliable survey panels, fill your profile surveys and start taking surveys either candid answers or lies. Sites like toluna, globaltestmarket, opinionoutpost are good sites to make money typing at home for cash. 6. Freelance Sites: Another way to earn money from home by typing is to join freelance sites like freelancer.com, rentacoder, getacoder, elance and many more. Those site have people who are ready to pay you to type for them at home. They can provide you with any typing job and give you the duration to get it done where you get paid for successful completion of the job. These are ways you can earn money by typing from home and getting paid through your typing skills. Just check the ideas provided above, follow the steps and you see you are already doing typing business for cash. Typing fast may also be an added advantage but not compulsory. Thanks for reading.